Narnia fans of all ages will love this sumptuous, full-colour Treasury packed with information about C. S. Lewis and his most famous creation. 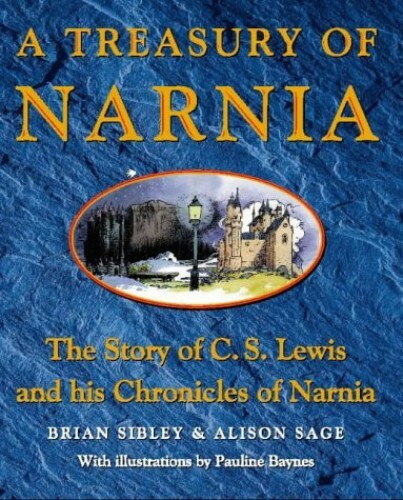 Narnia fans of all ages will love this sumptuous, full-colour Treasury packed with information about C. S. Lewis and his most famous creation.If, like many readers of Narnia, you have secretly pushed against the back of a wardrobe to see if you could enter Lewis's magical land, this book is for you! It is an appreciation of Narnia and all things Narnian - Aslan, Earthmen, Marsh-wiggles, countries under the earth and across distant oceans - and of C. S. Lewis himself. Aimed both at children and adults, there are sections on different aspects of Narnian life and its customs, on the people who travelled to Narnia, on its rulers, wise or evil, and on the books themselves. It is illustrated throughout by Pauline Baynes's intricate drawings which are almost as much a part of Narnia as the text; there are also many early photographs of the author and his family, showing his childhood, his homes and his inspirations.